Today we wait for Congress to stop screwing around with Treasury Secretary Hank Paulson's $70 billion bailout plan and just pass the damn thing so we can sidestep financial armageddon. 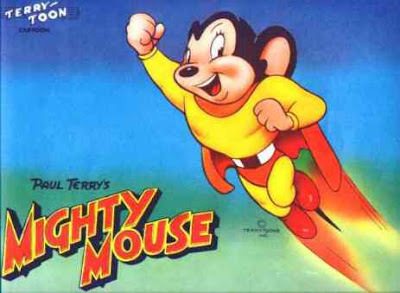 John McCain's Mighty Mouse imitation last week - "here I am to save the day!!!" - is just the latest symbol of our elected leaders inability to do a single reasonable thing. I'm scared and everyone else is, too. I wrote back in March that I feared the Next Great Depression, and sadly, I was right. But I'm not here today to add my incredibly meager voice to the populace's outrage over this debacle. I want to focus on the marketing - or lack thereof - of Paulson's plan and how it should be rebranded to make the bailout more palatable to the American people. This is the USA, after all - we are all victims of marketing. CNBC's Jim Cramer has been lobbying to call the plan "The Investment in America Plan" - and he's right. Paulson's plan is not a bailout or a donation to those greedy tycoons on Wall Street. It's a cash infusion into the American economy. It is an investment. The USA is getting a ton of crappy mortgages - all of which represent property soon to be owned by the United States of America. After the world stops panicking (which admittedly could take some time), property values will rise and the USA may actually make money. 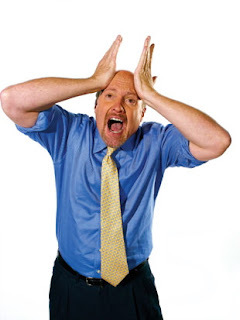 That's what Cramer says - and again, I think he's right. The American people have invested in their country before. FDR led our nation out of depression 80 years ago by investing in America. You remember all those acronyms from the 30s: the CCC (Civilian Conservation Corps), the WPA (Works Projects Administration), the CWA (Civil Works Administration), and many more. Those agencies plowed tax dollars back into the USA by establishing or improving our nation's infrastructure, creating public artwork, revolutionizing farming, and much more. I remember the post office mural at the Silver Spring post office (which has been moved to the library), and from a genealogy perspective, I've benefitted from the hard work of WPA staff members who transcribed the country's censuses. We invested in the nation once and we need to do it again (without participating in World War III though). So I second Paulson's plan and even more strongly support Cramer's suggestion that we rebrand the plan "The Investment in America." God willing, this investment will pay off. If it doesn't, I'm moving to Southern Maryland with my boyfriend. He has three acres of land where we can plant crops and keep a chicken or two. I won't tell you where it is... I don't want you showing up for free food if worse comes to worst!